What is it about Italy and its views? 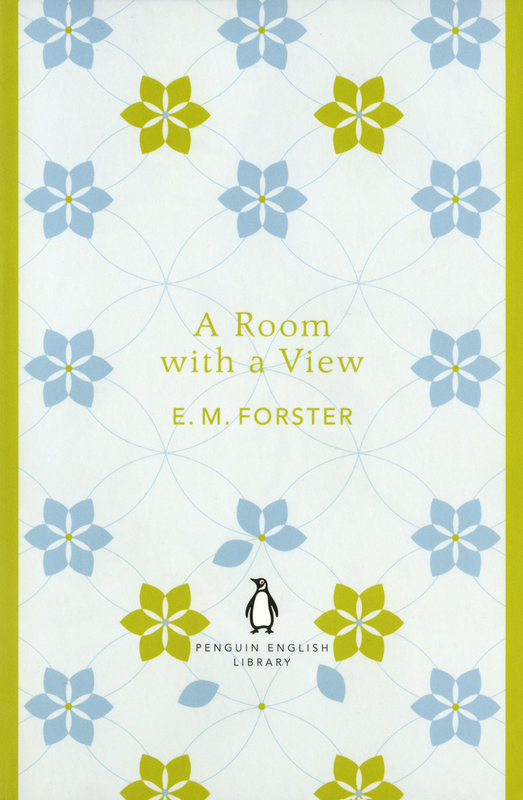 Having first been struck by Forster’s A Room with a View, which seemed to me to be all about the importance of a good view and being able to see clearly – something which Italy can give the English traveller, if he or she is sufficiently open to it – now I’m struck by the same thing in Henry James’s The Portrait of a Lady. Only James’s book, written thirty years earlier, has a rather sadder conclusion. Indeed, we readers are of course amongst the keen spectators, wondering what it is that Isabel Archer will do with her life, now she has become a woman of independent means. James conjures a kind of double vision around Isabel: there are all her ‘spectators’ – those who are watching her – and also what she can ‘see’, her desire to ‘look about me … to see for myself’. So off she goes to Italy to broaden her horizons. Unluckily for Isabel, the sinister Madame Merle, a friend of her aunt’s, has taken an interest in her – and in her newly acquired money – and introduces her to villainous Gilbert Osmond. Osmond and Madame Merle are thick as thieves, and we soon gather than he will be Isabel’s next suitor. We fear the worst. Lord Warburton and Caspar Goodwood both turn up again and are turned away. Ralph, who we feel has the best chance of making her, literally, see sense, fails too, and we soon gather that Isabel has accepted Gilbert Osmond. Osmond lived exclusively for the world. Far from being its master as he pretended to be, he was its very humble servant, and the degree of its attention was his only measure of success. He lived with his eye on it from morning till night, and the world was so stupid it never suspected the trick. Everything he did was pose — pose so subtly considered that if one were not on the lookout one mistook it for impulse. Ralph had never met a man who lived so much in the land of consideration. His tastes, his studies, his accomplishments, his collections, were all for a purpose. His life on his hill-top at Florence had been the conscious attitude of years. His solitude, his ennui, his love for his daughter, his good manners, his bad manners, were so many features of a mental image constantly present to him as a model of impertinence and mystification. His ambition was not to please the world, but to please himself by exciting the world’s curiosity and then declining to satisfy it. It had made him feel great, ever, to play the world a trick. So Osmond is another double vision – one who ‘lived with his eye on’ the world. We know him as a great aesthete, a collector of things which are pleasing to the eye. He looks at works of art, however, only to become a work of art himself. In contrast to Isabel’s innocent openness to her spectators, Osmond is all ‘pose’. Constantly aware of those who look at him, he poses with sufficient skill to take them in – well, perhaps not such a sharp observer as Ralph, but certainly poor wide-eyed Isabel. In Claire Messud’s brilliant essay on re-reading The Portrait of a Lady, published in the Guardian, she describes Osmond’s ‘ability to reflect light so that he may appear to shine’. Is it really so surprising that naïve Isabel, who is so keen to see ‘the world’, is taken in by this man of the world, a trickster who has perfected his illusion? When we rejoin Isabel three years into her marriage, we learn that it is a very unhappy one. Tellingly, they live at the Palazzo Roccanera in Rome, meaning ‘black rock’, and images of darkness persist. Osmond once reflected light, but now he has plunged Isabel into the dark depths of misery. I shall go no further with the plot, for this is when all the twists and turns and revelations begin, and I hate to be a spoiler. We wonder, along with the other characters who are all keen observers of Isabel’s fate, will she ever be able to see clearly? Will she see through conniving Madame Merle and cruel Gilbert Osmond? Will she see her way through to freedom? Lucy Honeychurch sees Italy and so sees the world, and so – and this is the most important thing – is eventually able to perceive the truth about herself and the other characters who exert influence over her, such as the oddly compelling Charlotte Bartlett. For a while it seems as though she might not succeed, but the comic muse wins out and all ends happily ever after. How tragic, that poor Isabel Archer, whose trajectory appears to be at first along such a similar path, is taken in by a fiendishly well-executed trick and plunged forever into darkness. Not one window, but a million – a number of possible windows not to be reckoned, rather; every one of which has been pierced, or is still pierceable, in its very front, by the need of the individual vision and by the pressure of the individual will. These apertures, of dissimilar shape and size, hang so, all together, over the human scene that we might have expected of them a greater sameness of report than we find. They are but windows at the best, mere holes in a dead wall, disconnected, perched aloft; they are not hinged doors opening straight upon life. But they have this mark of their own that at each of them stands a figure with a pair of eyes, or at least with a field-glass, which forms, again and again, for observation, a unique instrument, insuring to the person making use of it an impression distinct from every other. He and his neighbours are watching the same show, but one seeing more where the other sees less, one seeing black where the other sees white, one seeing big where the other sees small, one seeing coarse where the other sees fine … [the windows] are, singly or together, as nothing without the posted presence of the watcher. He really knows how to string out a sentence! I can just tell that hundreds of pages have been spent arguing about the particular meaning and relevance of this passage, and I can’t hope to begin to do justice to it here. All I will say, however, is that readers and characters have become watchers, each perspective is unique and, vitally, limited – windows are a somewhat treacherous aperture through which we must perceive. strolled to the window, opened it (as the English will), and leant out. I somehow feel that Henry James didn’t want anyone to open his windows and lean out of them. His spectators are stuck behind the rigid panes of glass – indeed, sometimes even further stuck behind field glasses! Perhaps this is where he achieves such brilliant tension in The Portrait of a Lady. Everybody is able to look, but they are limited in their observations and unable to reach through the glass and do anything. 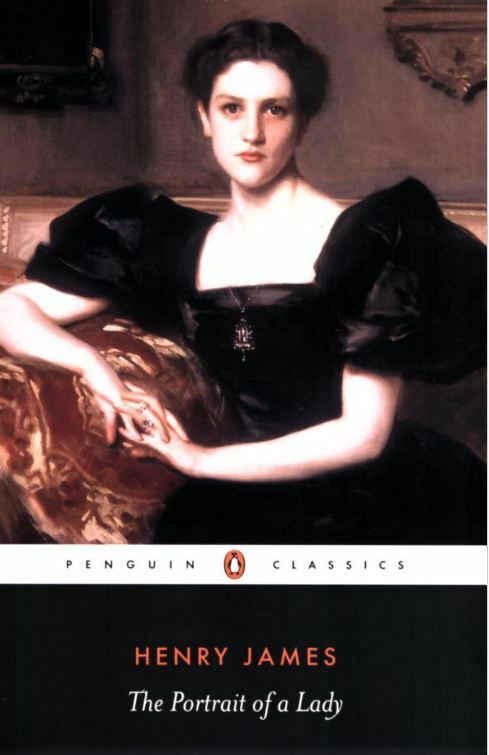 Isabel Archer might have looked out of the window – indeed, in the chilling denouement scene, Henry James pictures her doing exactly this, and she sees the truth ‘as if it had been reflected in a large clear glass’ – but unlike George and Lucy, she could not open the window and see ‘all the view’. Perhaps she was just thirty years too early. 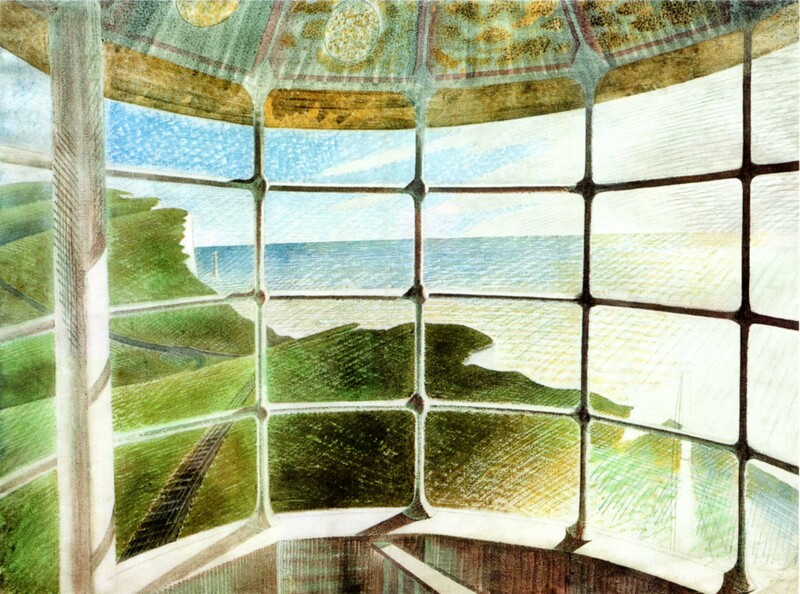 Incidentally, you might like this piece I wrote for The Junket for some more thoughts about windows, including this beautiful one by Ravilious. This entry was posted on June 16, 2014 at 11:20 am and is filed under Lucca, reading. You can follow any responses to this entry through the RSS 2.0 feed. You can leave a response, or trackback from your own site. What a beautiful commentary; especially enjoyed your comparisons. I have been working up to giving Henry James another try. I did not enjoy either his stories or what I felt was a fawning perspective when I first began exploring his novels years ago, (as you so well brought out…I chafed at his tiny voyeuristic ‘windows’ and wanted to throw them all open and get some fresh air in). But I have since read many fine excerpts and reviews from his novels that I did enjoy. His ‘windows’ and field glasses may be small, but his well crafted sentences are towering! I actually love that part of his writing. So perhaps it’s time for a re-read, this time with a view of experiencing his work as literature, and not necessarily about reading of a ‘real’ world that I particularly enjoy. Thanks for the lovely post, and the fresh impetus to get my Henry out again! Oh good, well I’d be thrilled if it were to serve as an impetus! How interesting to hear about your first reading of his books, finding it to be a fawning perspective. I hope you enjoy it more second time around. Ah Alan, how fascinating and I love that Graham Greene quotation. Longing to get back in the bookshop and have a good long talk about Portrait with you!